These spicy hummus deviled eggs are adorned with pickle juice-soaked mustard caviar, pepitas (pumpkin seeds) and a little sprinkle of poppy seeds on top! 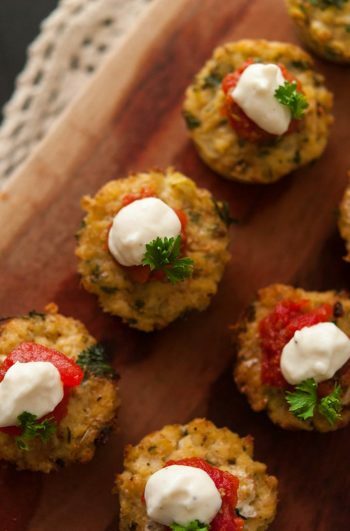 You’ll love the smooth and crunchy texture of these little works of art. I don’t know why it hadn’t occurred to me to mix a ribbon of hummus into my deviled eggs until now! It adds such a yummy texture! In fact, these deviled eggs are dancing with both exciting textures AND flavors. I used pickle juice-soaked mustard caviar to give them a little extra pizzaz… even though it was already pretty zazzy. I just wanted to take them over the top. 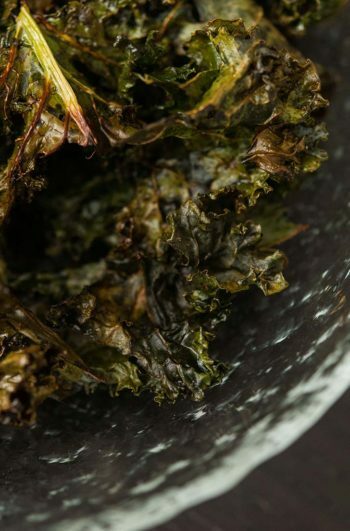 If you’d like to make some yourself, take a look at the incredibly simple mustard caviar recipe! Note: You’ll have more egg mixture than you’d usually need for 12 deviled eggs since half of the filling will be hummus, so fill your eggs liberally! These spicy hummus deviled eggs have pickle juice-soaked mustard caviar, pepitas (pumpkin seeds) and a sprinkle of poppy seeds on top! I thought it also might be lovely to add a few pretty flowers too. Add mayo and spicy brown mustard to your egg yokes. Mix till creamy. Your filling should be the same consistency of your hummus. If it's too thick, add a little more mayo. Lay down 2 pieces of plastic wrap on a flat surface. Spoon your hummus and egg fillings onto each piece and carefully roll them up into tubes. Snip the tips with scissors. Carefully place the two fillings side by side in your pastry bag and fill your eggs! 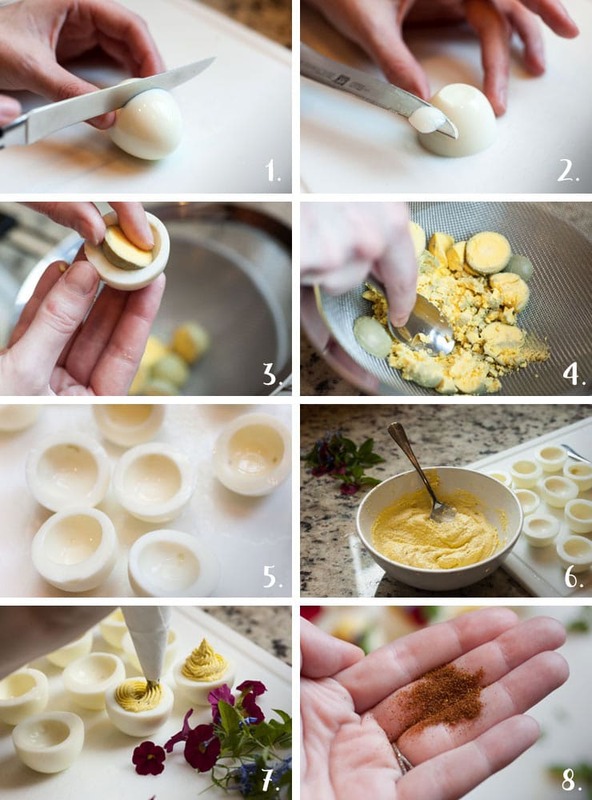 To see step by step instructions of this process, take a look at this recipe for multi-colored deviled eggs. You'll have more egg mixture than you'd usually need for 12 deviled eggs since half of the filling will be hummus, so fill your eggs liberally!